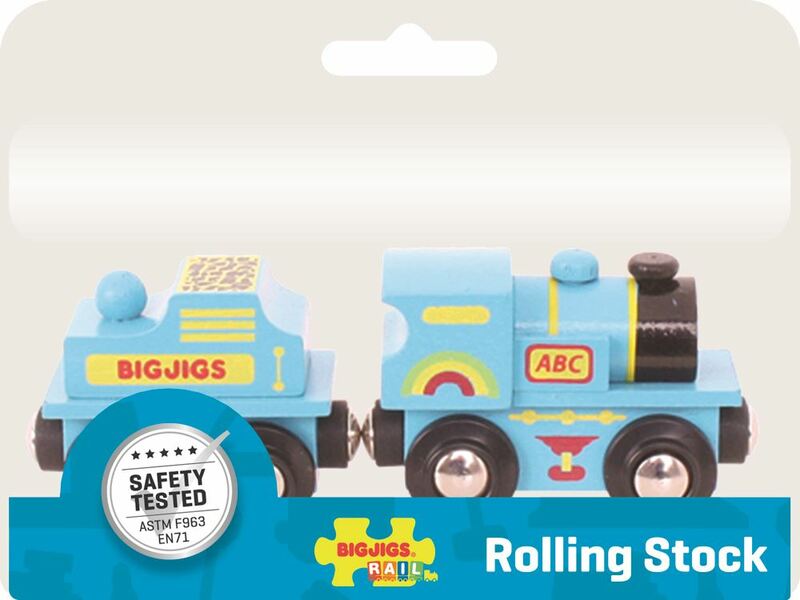 Designed for young minds, this Bigjigs Rail Blue ABC Engine is the ideal starter train. This locomotive features an 'ABC' marking on the side, and comes complete with a wagon, one piece of wooden track and a buffer. Magnetic couplings ensure compatibility with all other engines and carriages in the Bigjigs Rail range. Age 3+ years. Compatible with most other wooden railway brands. Distributed in New Zealand by Holdson.